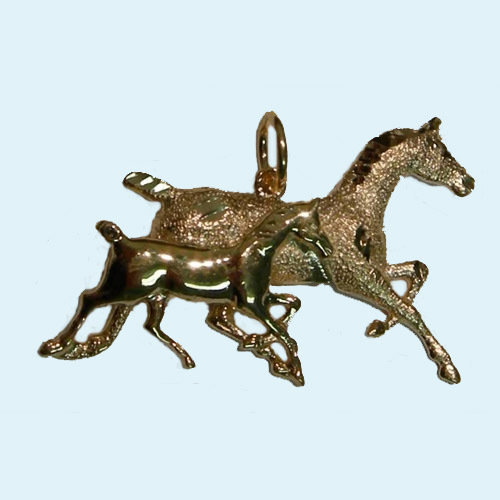 Desc: 14 karat yellow gold trotting mare and foal pendant. The mare's body is textured with diamond cutting as accent. The foal's body has a bright polish finish, giving the pendant depth. The mare and foal are trotting side by side.